Solange just dyed her hair golden — and we're living for it! Have you been keeping up with all the New York Fashion Week updates lately? Then you’ll have seen Kim Kardashian’s and Tinashe’s striking blonde hair makeovers. But just when we thought it was all over, Solange Knowles (AKA one of our biggest natural hair heroes!) threw a spanner in works and joined the blonde brigade. Now, we’d be lying if we didn’t say it: she is slaying the mane game with her buttery, golden afro and you can’t afford to miss it! 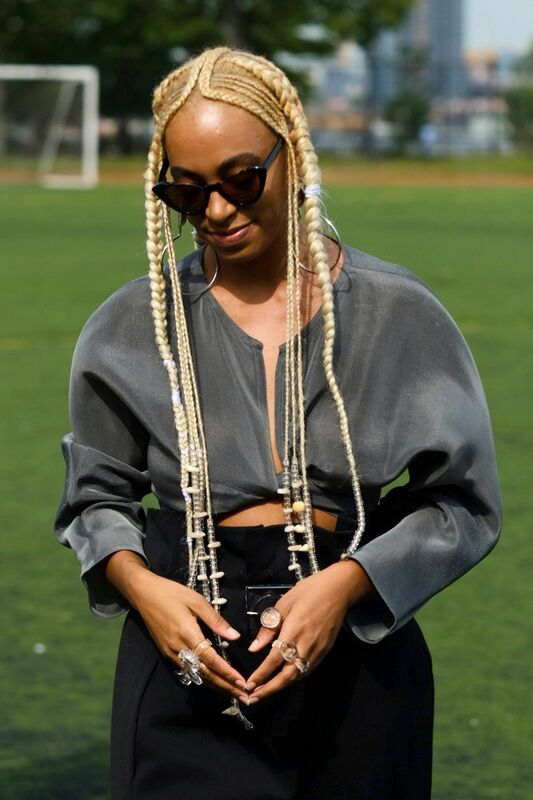 Solange just went blonde! Have you seen? 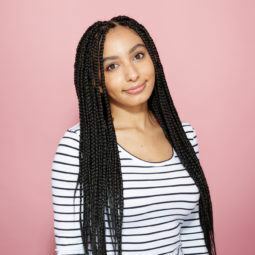 Naturally, the ‘Don’t Touch My Hair‘ singer took to Instagram to reveal the eye-catching results of her mane makeover. And seeing as platinum blonde has been the colour of NYFW, we’re sure the star felt the temptation to share her take on the trend. Now, the last time we caught a glimpse of Solange was at the Chloe’s autumn/winter 2017 show in Paris, where she dyed her afro a romantic warm auburn colour. But that red hue is no more! Editor’s tip: If you’re tempted to take the plunge, remember to use a wash and care system specifically formulated for dyed blonde hair. We’re currently fawning over the TONI&GUY Illuminate Blonde Shampoo and Conditioner, as it helps hair look frizz-free, all while helping maintain your hue’s vibrancy. At first, we weren’t entirely sure if she’d gone blonde for real, but this picture of her at Maryam Nassir Zadeh with blonde cornrows showed us that this look is here to stay. And guess what? We’re living for it — nice job, Solange! What do you think of Solange’s new hair colour? Share your thoughts with us on our Twitter page, @AllThingsHairUK, now. This week's best celebrity sleek hair looks you have to see!